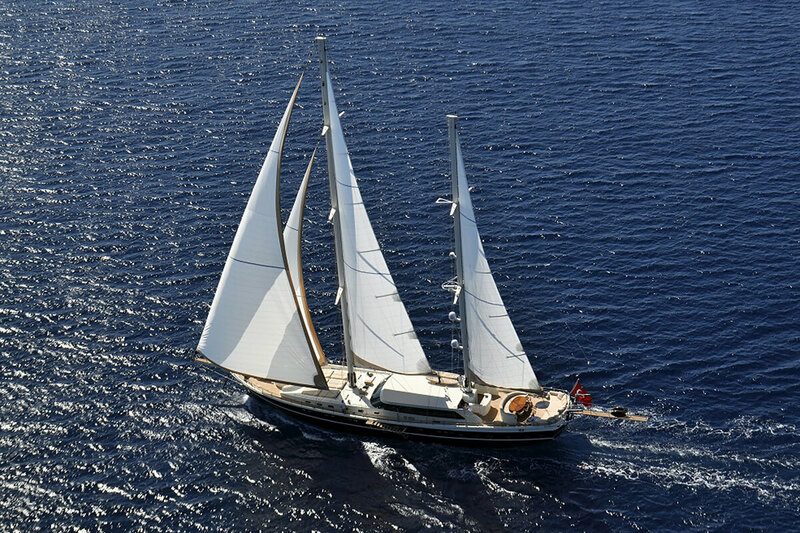 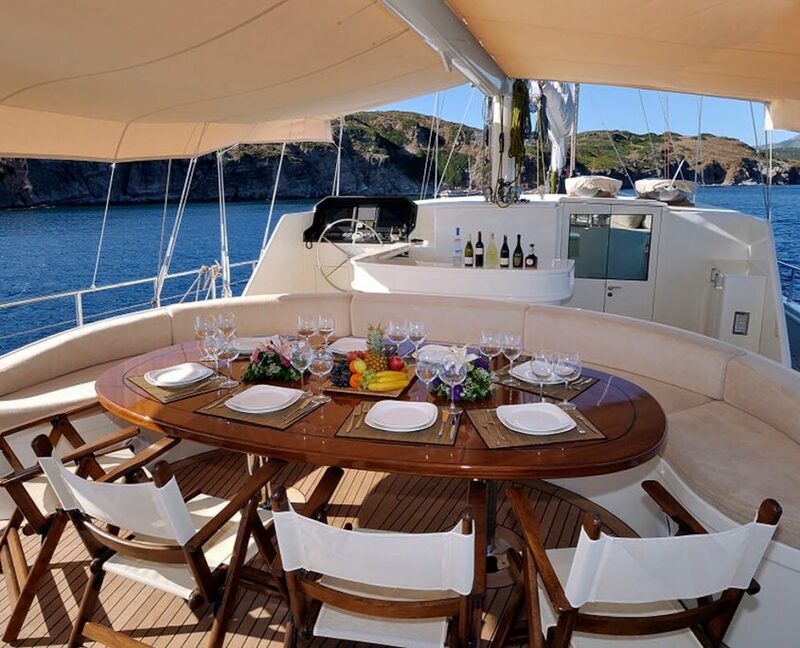 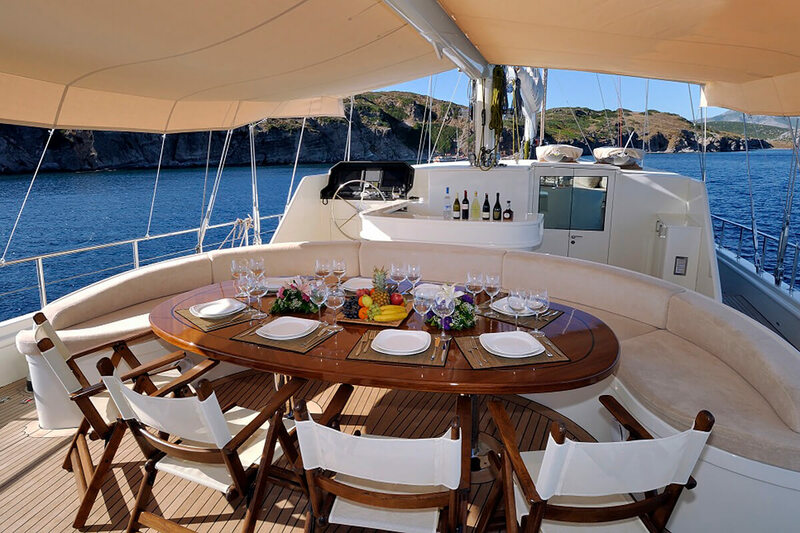 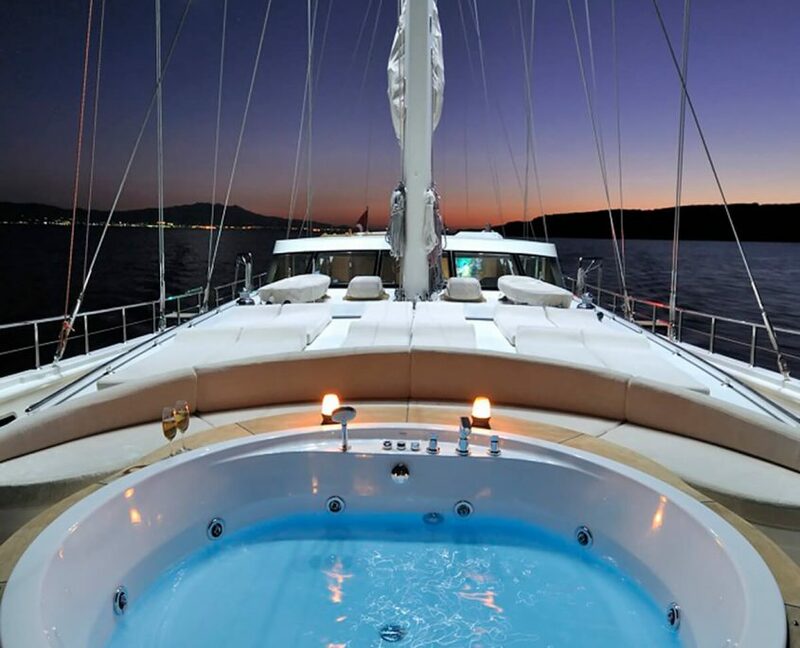 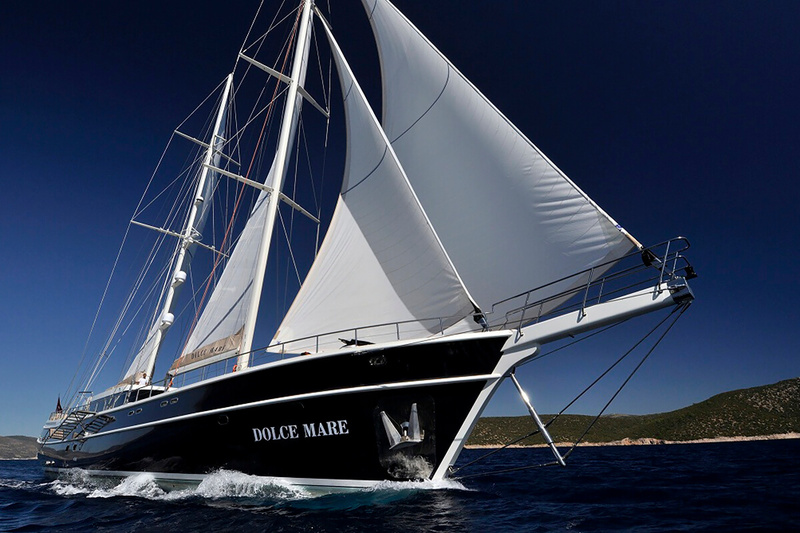 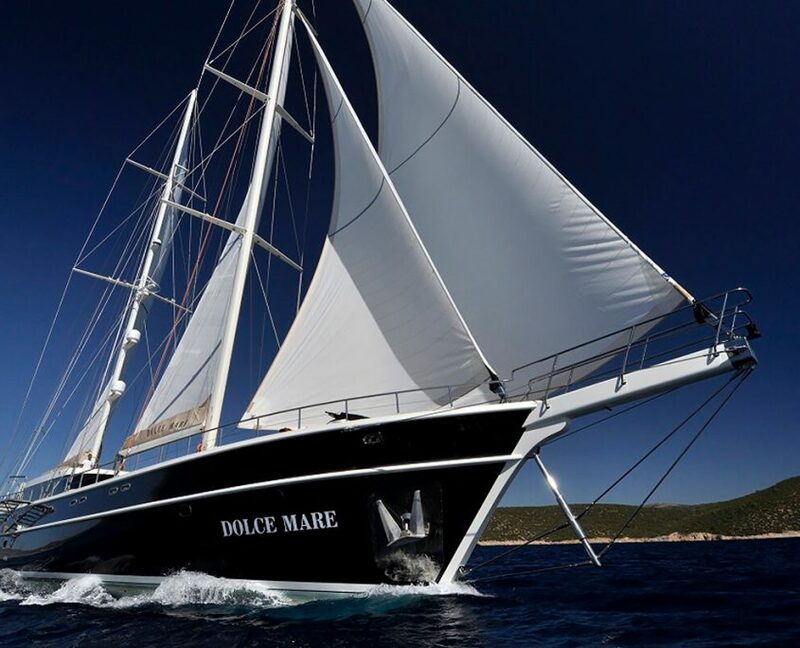 Gulet Yacht Dolce Mare is a unique luxury vessel built to the highest standards and launched in 2012. 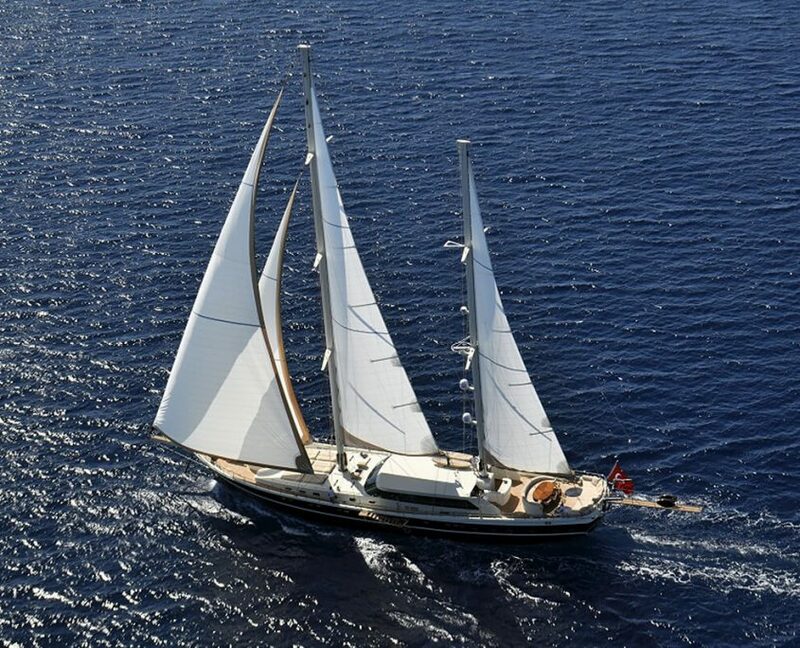 No expense was spared on final fittings and she is quite magnificent. 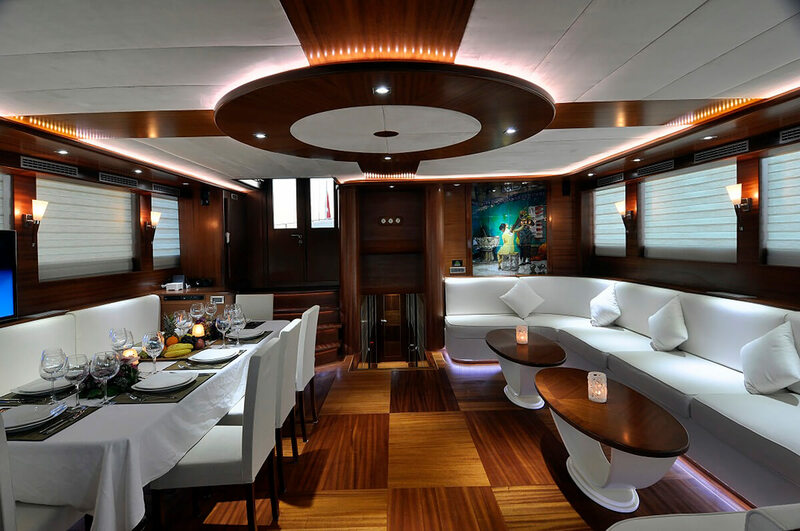 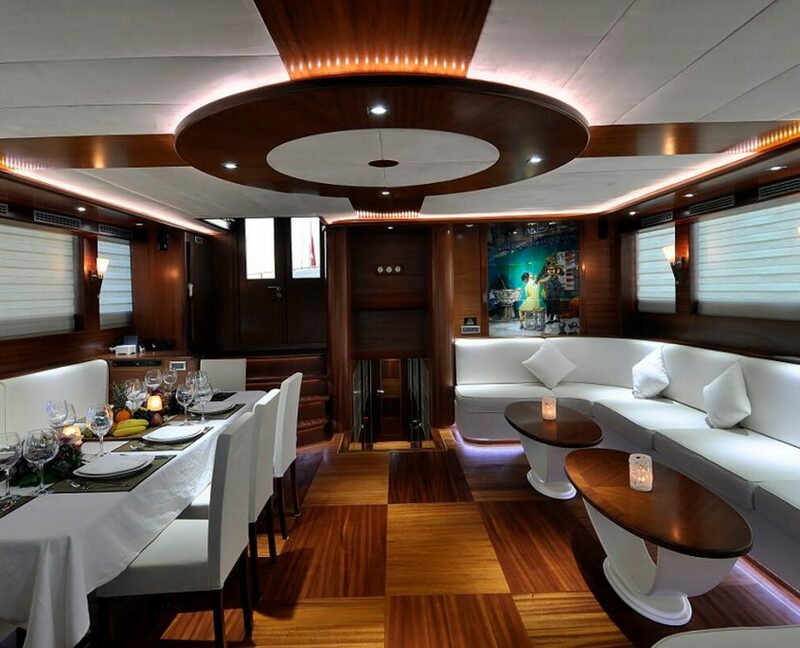 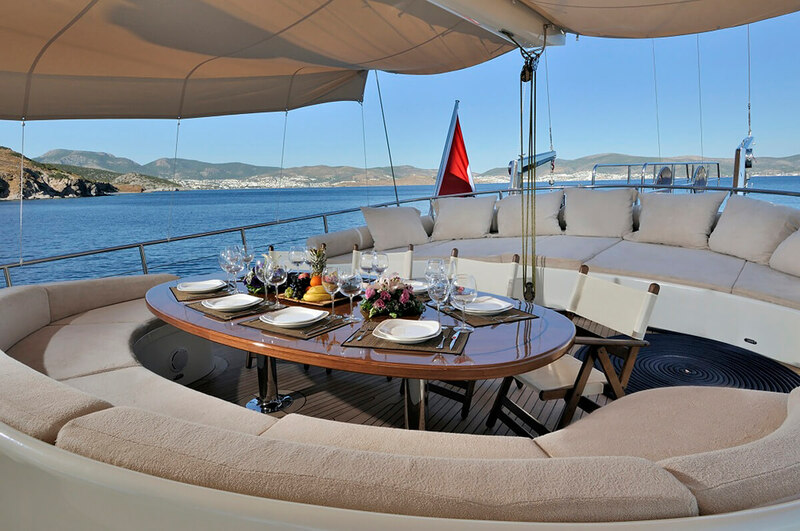 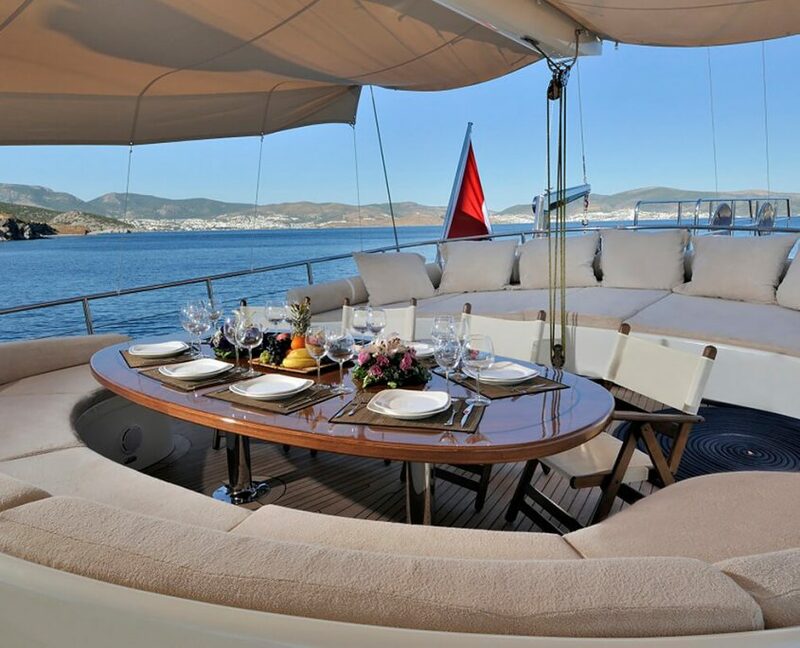 The interior decor of gulet is modern with contemporary European styling and cool clear tones throughout. 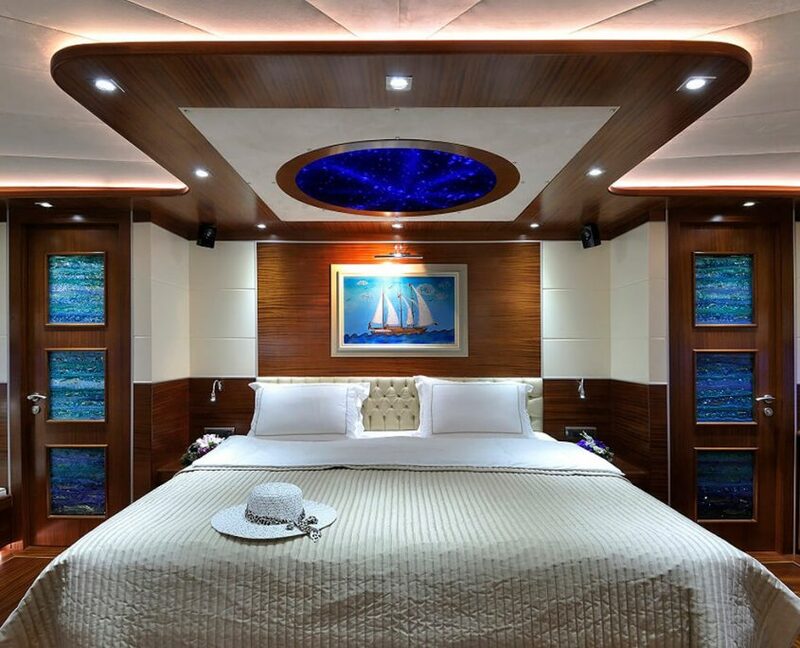 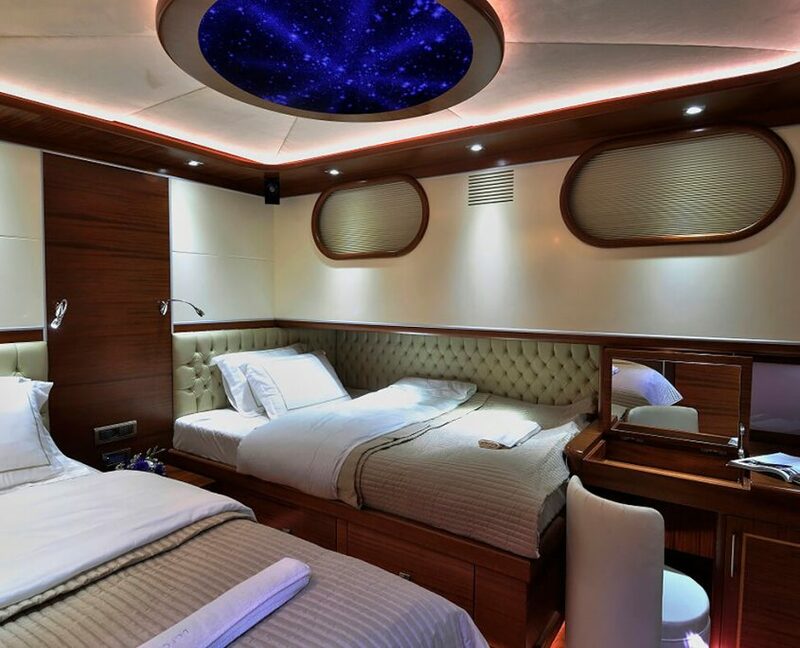 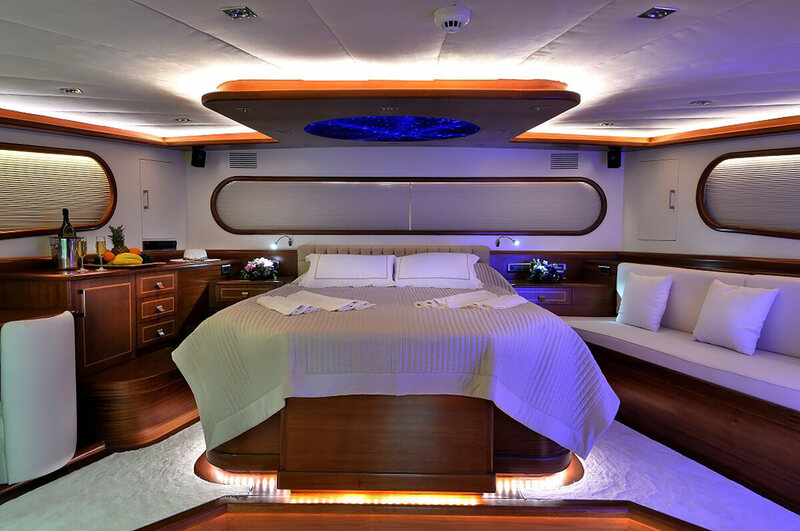 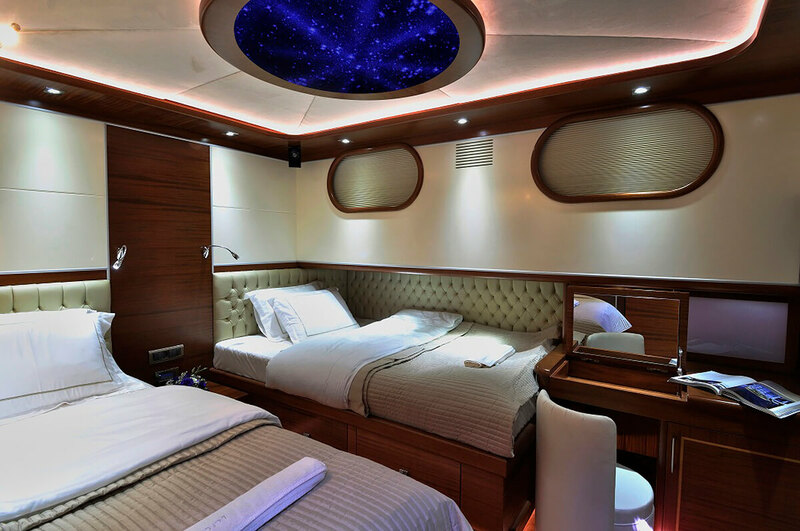 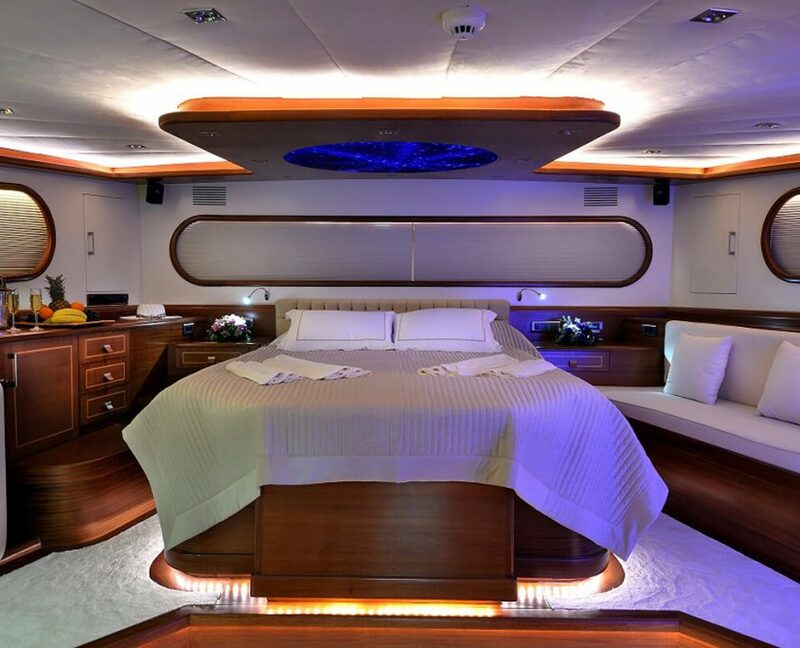 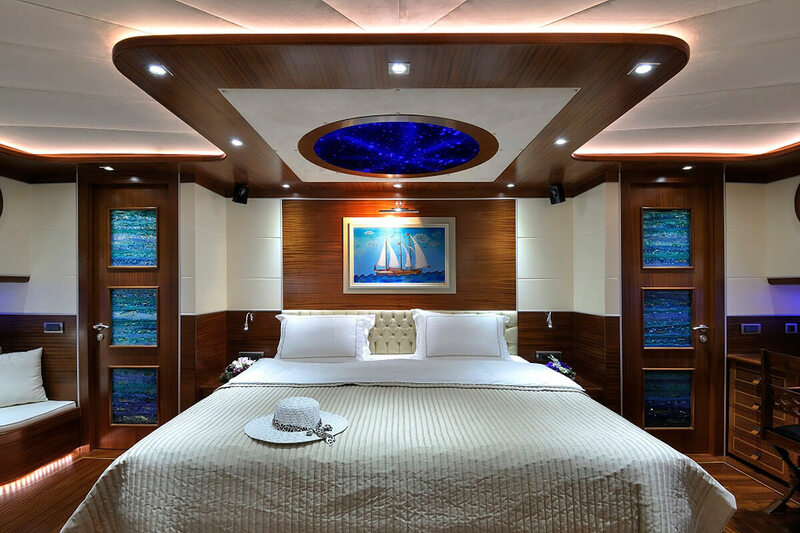 It is 36 meter long gulet with 6 cabins; 2 master cabins, 2 double bedded cabins and 2 with a single and a double bed which can be joined to convert to a king size bed if preferred. 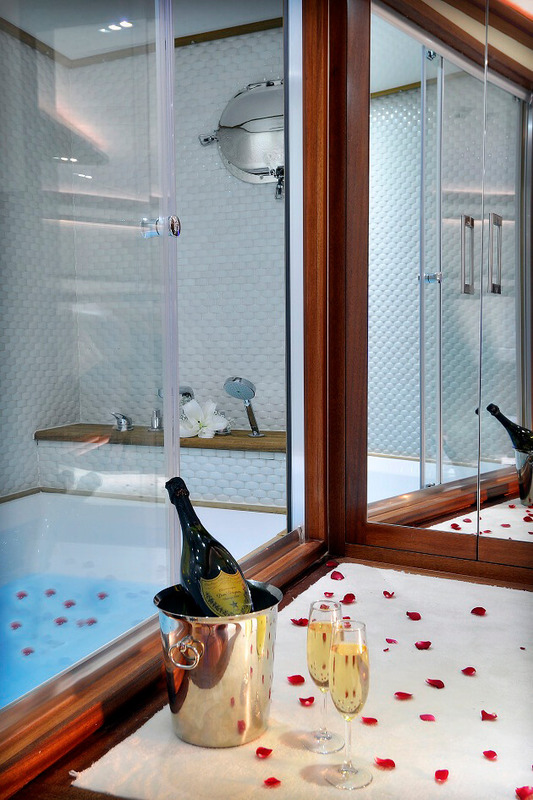 The en suite bathrooms have shower cubicles. 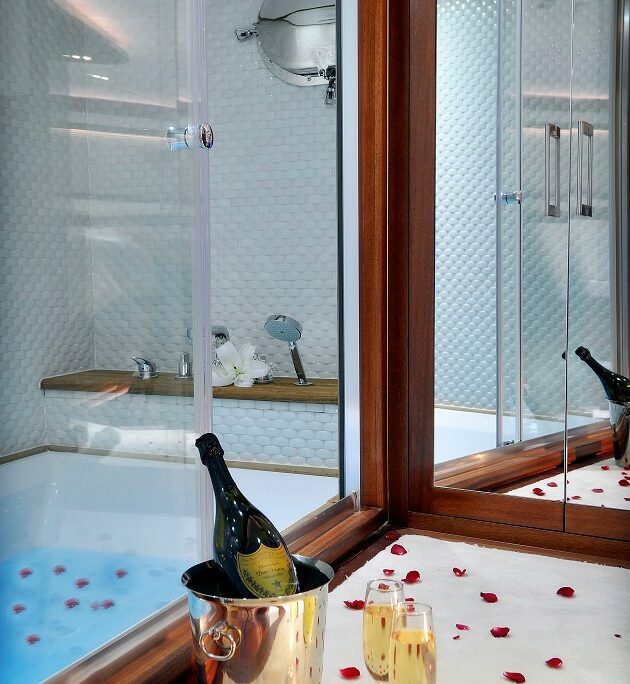 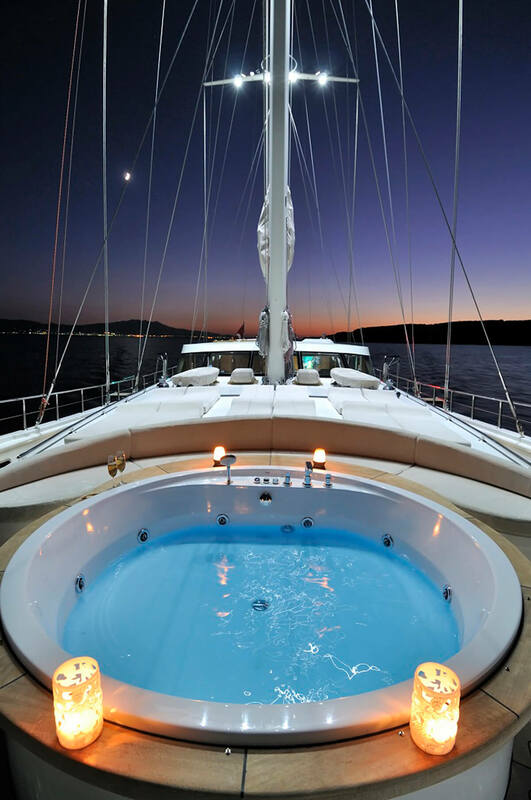 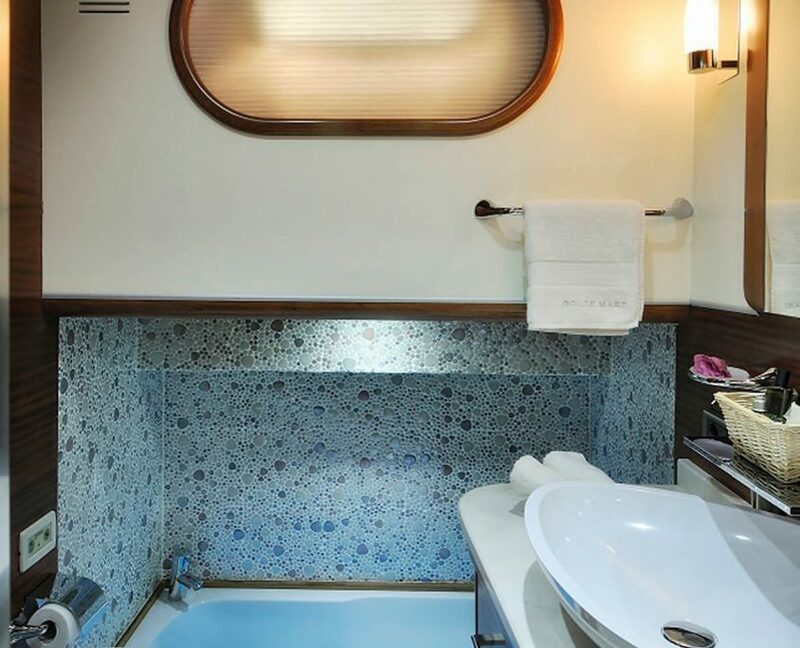 The master and triple cabins also have a bathtub. 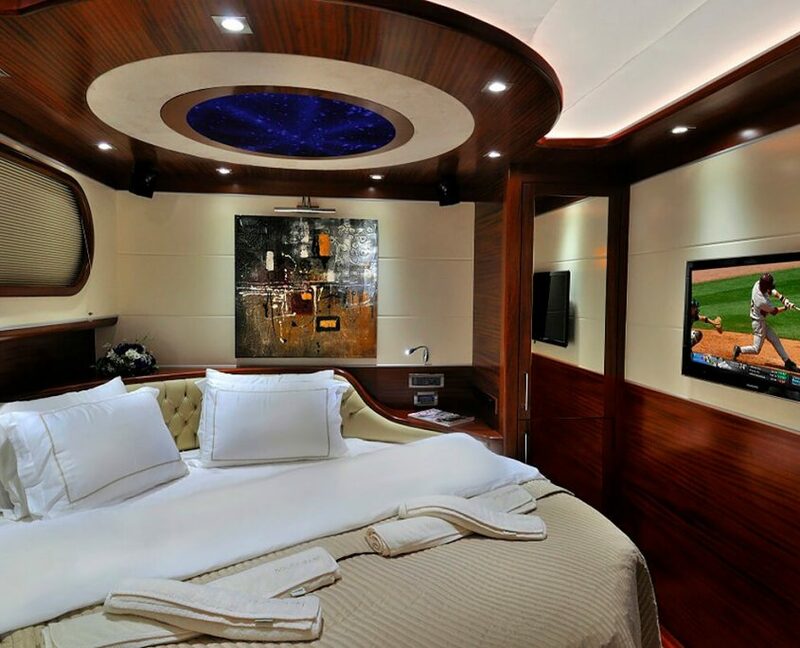 Each air conditioned cabin has a plasma TV, mini bar, DVD and CD player. 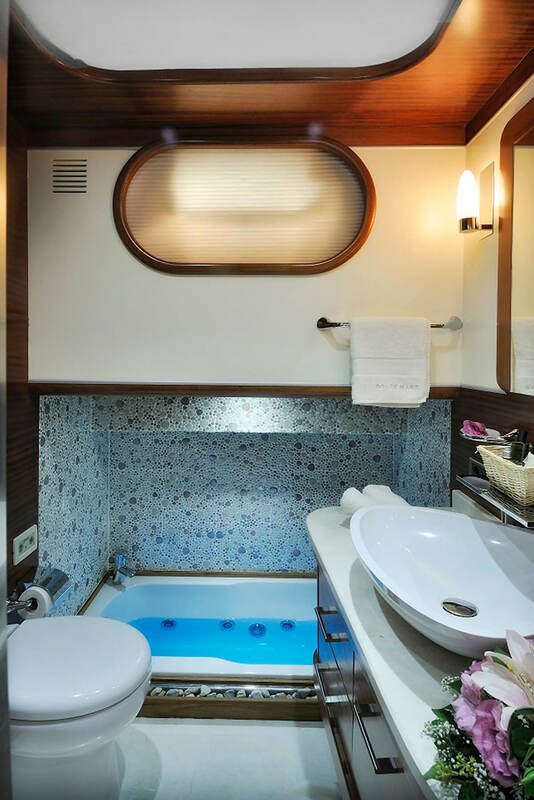 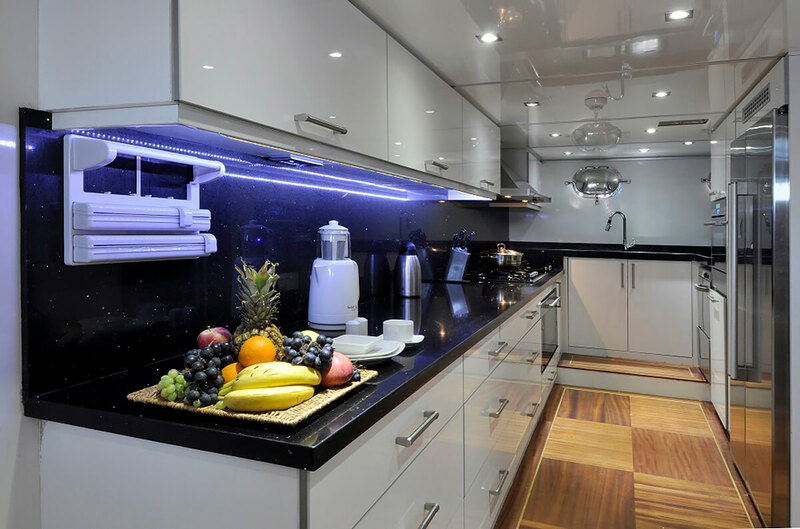 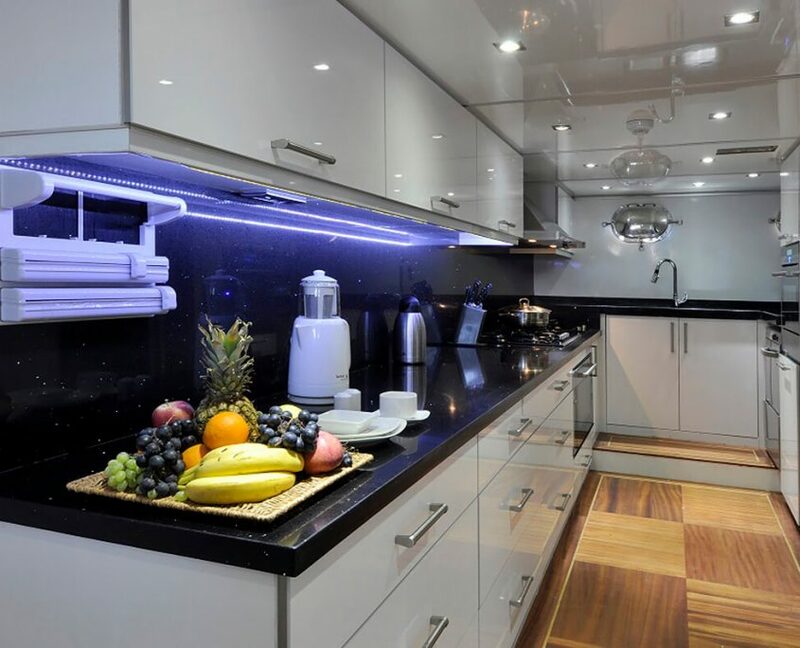 With offering best accommodation and services, spacious deck, with lot of relaxing area, Jacuzzi on fore deck, professional crew; guests will definitely have best time to enjoy. 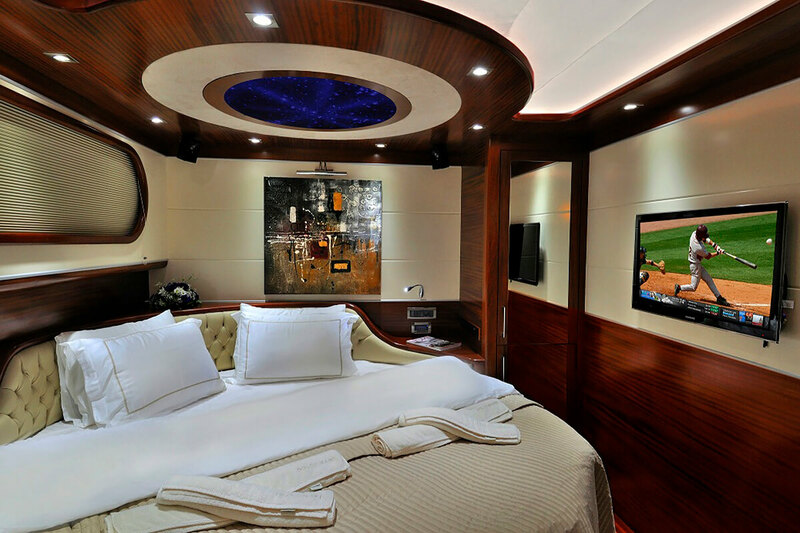 Music SystemMusic system in cabins Music System in saloon.